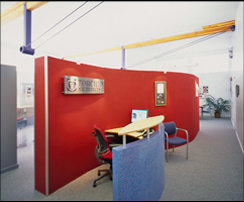 Torchio Architects is the evolution of a firm first established in 1983 by Gregory D. Torchio, AIA, LEED AP. In 1990, Greg moved the firm to Centreville, MD, where it has become a contributing member of the mid-shore business community. Greg Torchio is the president of the firm and oversees all work. He has been practicing architecture since 1983 and has been building most of his life. He recently built a new office building in Centreville for which LEED Silver certification is pending. His role as architect, contractor and owner on this project illustrates his commitment to green building and the experience gives him a unique perspective. This sizable investment is also indicative of Greg's commitment to improving downtown Centreville. In addition to Greg, Jo Anne Baker, AIA is also a principal in Torchio Architects. She has much experience with assembly buildings, especially churches and is very good at working with building committees. Greg and Jo Anne are supported by a staff of architects, intern architects and an office manager. The firm's emphasis on personal customer service is the cornerstone of the practice. Torchio Architects takes pride in creating buildings which are thoughtfully designed. Every project is crafted as a carefully considered response to the client's needs, site and budget. These projects include a wide variety of building types including commercial, religious, financial, residential, industrial and recreational uses. Torchio Architects believes that proficient design stands the test of time, and that buildings can be designed in the modern day while still respecting their historical surrounds. The firm is a member of the U.S. Green Building Council, and strives to design buildings which create healthy and productive environments in which to work, live and worship. The buildings designed by Torchio Architects are reflections of their clients not themselves. The principals of Torchio Architects strive to instill Christian values of honesty, fairness and trust in their business. They are committed to improving and enriching the built and natural environment while meeting the specific needs of individual clients.